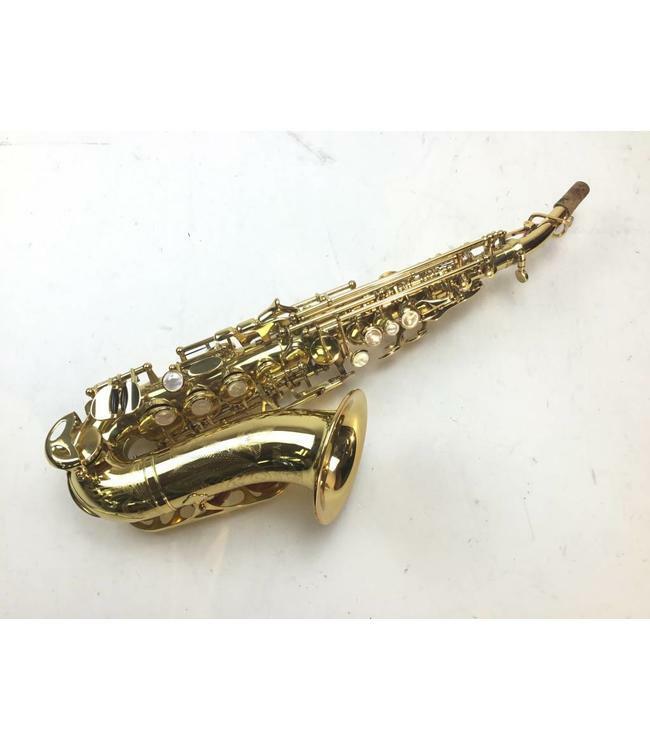 Used Yanagisawa 901 model curved soprano saxophone. Original gold lacquer 99% with some very slight surface scratches around the bell. Pads and corks in good condition. Features blue steel springs and plastic domed resonators. Comes with original case.